Wow! For the past 2 weeks we've have the best weather in a long time. Gorgeous & sunny. I love it!!! I've been busy sanding down our patio furniture and just oiled it all yesterday so my body is feeling some aches & pains in muscles that I didn't know I had!!! Maybe when I'm done here a good run will help loosen everything up!! ... hopefully. 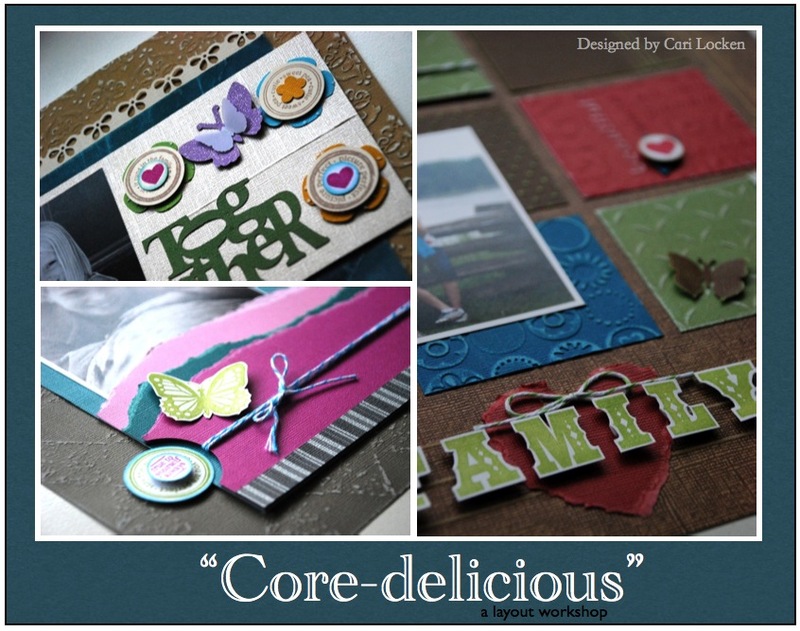 Today I'm prepping and getting ready to teach on Saturday up at Loon Lake at The Ultimate Scrapbook Retreat! Love that place and love going there to hang with the ladies. I'll be teaching these two classes. 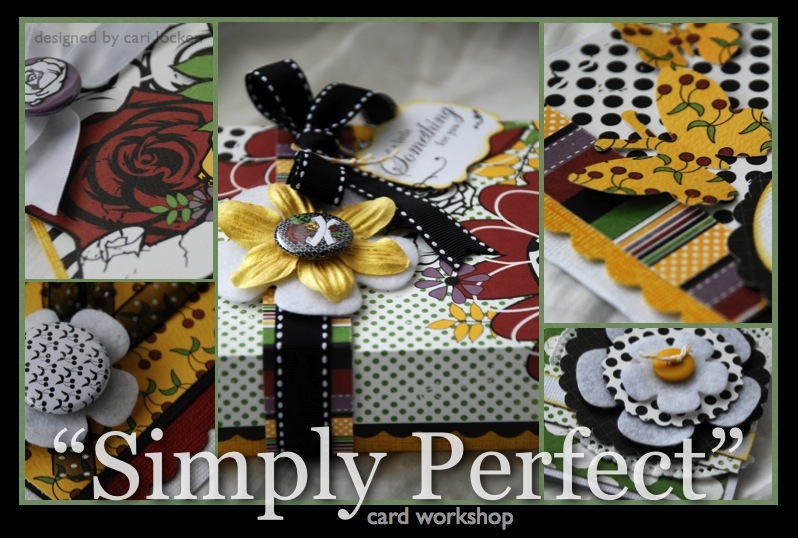 This class is just perfect for a Mother's Day gift (which just so happens to be this weekend!!). We'll be creating a little box and 4 cards to fit inside. If you're in the area and want to come & take the class please let me know & we'll get you signed up. This class is going to be super fun because we are using only cardstock - NO patterned paper is used at all!!! We'll be doing lots of fun techniques and creating 3 single paged layouts. 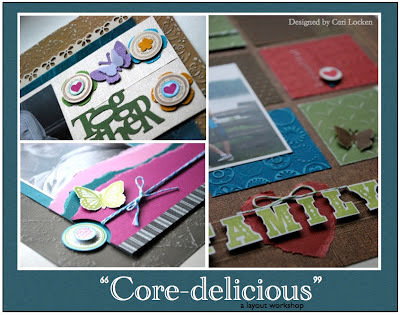 We'll be using Core'dinations Cardstock (which I absolutely LOVE) & lots of other goodies!